Natsume goes to a hot spring for a school trip, with an errand from Shigeru to pick up Teacups from a near by pottery. While there he meets and helps a little fox spirit, who quickly grows attached to him. 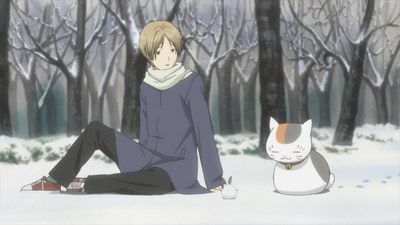 Natsume returns home from school one day to realise that Nyanko sensei is not home. Whilst at the window, he sees a yokai that is trying to enter the house whilst calling out his name. 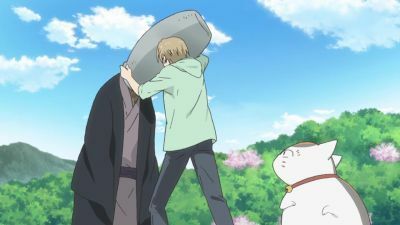 Nyanko-sensei comes to the rescue but Natsume falls ill with a fever. The summer has arrived for Natsume and his friends in the school. After the exams, Natsume, Sasada, Nishimura and Kitamoto went to an art museum as outing. Upon his return to this house, Tohko san reminisced about her childhood days, which Natsume was envious about as he does not have a good childhood. 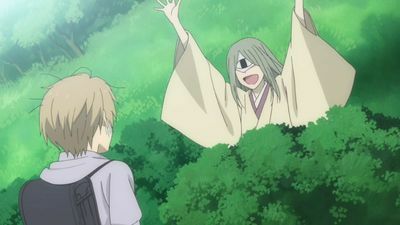 The story then was told by a youkai on a tree that Natsume met when he was still young. The youkai found it bored that no human can see it, but it suddenly remembered about Natsume and how they met. It often scares young Natsume because Natsume can see it. Both of them parted ways in an awkward manner. 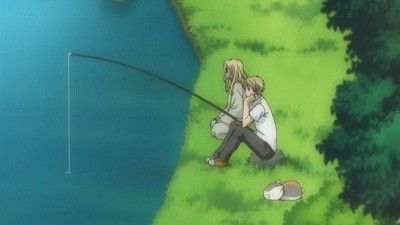 The story then goes back to Natsume's point of view. After the trip to the art museum, Natsume made a trip to the tree to visit the youkai (detour). The youkai was glad that Natsume met some kind people as he is able to smile gently now. 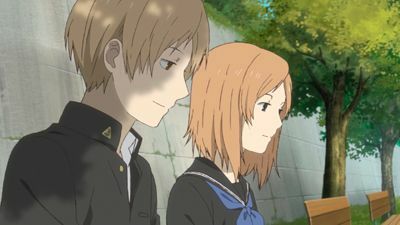 The episode ended with Natsume's thoughts, "If there is somebody that you wish to meet, then you are not alone anymore." While outside during school Natsume is hit with a ball while reading. He goes to retrieve the ball and ends up breaking a Youkai's seal (much like he had with Nyanko-sensei). 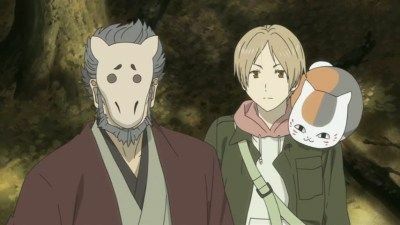 Later that night Natsume and Nyanko-sensei discover a look-a-like of Nyanko, only to have him steal the Book Of Friends! 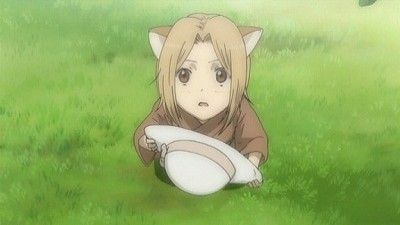 After helping youkai out of a pot as a "reward" Natsume is made young again. However, because he is already young making him younger confuses him and jars his memories. When he doesn't know who to trust, will he have the strength to know who his real friends are? Natsume is trapped in a bottle by a youkai to be offered to another named Omibashira. 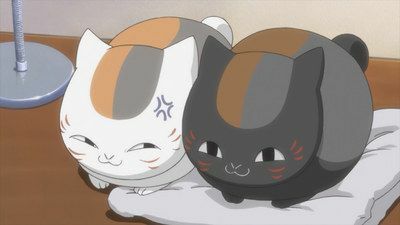 Nyanko-sensei transforms into Natsume and goes around his school to ask his friends about Omibashira, but gets Tanuma involved. 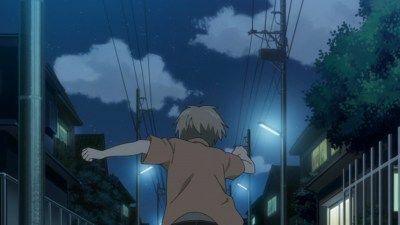 Tanuma is attacked by one of the youkai that trapped Natsume and loses him, but as he runs through the forest looking for Natsume he finds a mansion behind the school. When Tanuma is suddenly able to see the youkai walking up the steps to the mansion, he is found out by a youkai with a bag over its head. Natsume, possessed by the youkai, thinks of an painful incident from his childhood involving the family he was living with at the time. 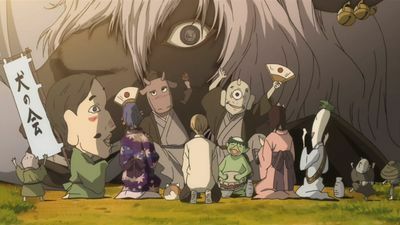 The youkai offers to eat all his memories, so that he will no longer have to relive his pain. 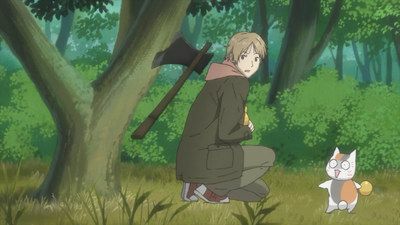 Natsume is cursed by an evil spirit which is sealed to a tree, not wanting to trouble his adopted family, he decided to run away from home. Strange things start happening at Natsume's home, like Toukou's plants get destroyed, and a strange Youkai starts wandering around his house. 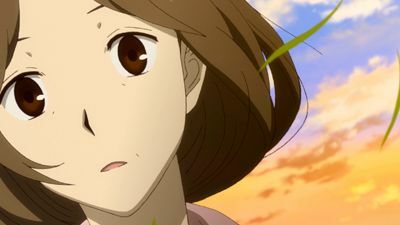 Natsume then learns more about Reiko and her life in this town. He also learns how to get rid of the Youkai who's wandering around the house. 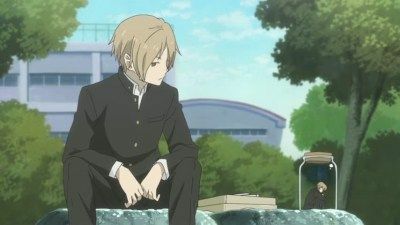 It is after exams and Natsume and his friends are planning on what to do for their school holidays. After being unable to come to a decision, the group heads home for the day. Natsume reaches home and is greeted by his relatives before heading into his room. When he enters he is greeted by his Yokai friends who constantly disturb him and they have invited him to attend a Dog Party with them. Yobiko, a youkai that can imitate the voices of others, sneaks into Natsumes' house and asks him to call out another youkai named Karikami. 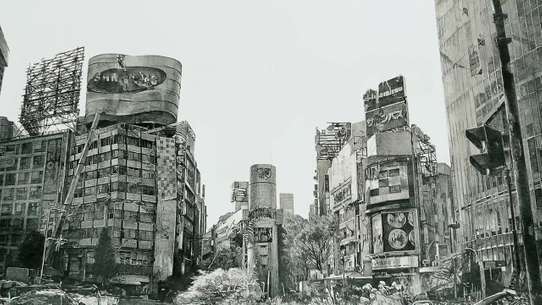 Long ago, Yobiko had been watching over a woman named Youko who was meeting with a man at a nearby shrine. One day the man stopped coming, due to an arranged marriage to another woman, so Yobiko decided to use his talent to talk to the girl. Eventually, he told her the truth about the man and ran away. When he came back to the shrine many years later, he found an old letter that had been sealed shut and wrinkled. 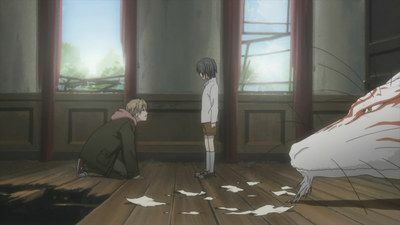 Natsume and Yobiko later meet Karikami and after returning his name, Karikami restores the letter. Unable to read human letters, Yobiko asks Natsume to read it to him. Instead of a hateful message he was expecting, it is actually a letter of thanks for telling her the truth. Natsume accidentally bump into a woman and realizes that the woman had blood covered her body. He then follows the mark that the woman left with blood and found a house. 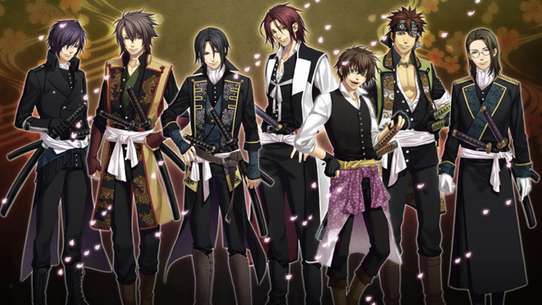 When he open the door, he was surprised by the scene of some ayakashi that was badly injured. When he checks one of it, someone suddenly grab his neck and trying to kill him until another ayakashi help him and run off. 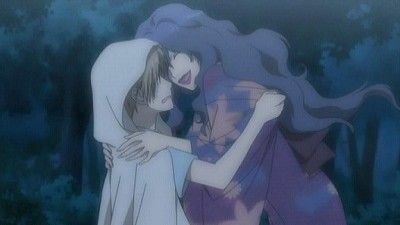 There's been someone who kill ayakashi for blood and with the help of Natori, Natsume search Matoba who he thought is the one behind all of this. When he met Matoba for the second time, he can't escape the man. 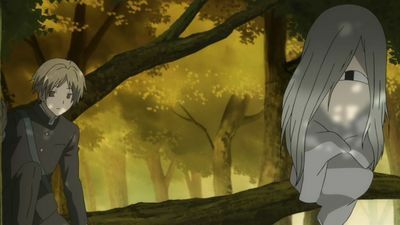 Natsume encounters a spirit who was enslaved by his grandmother Reiko 50 years ago by writing his name on a torn page from the Book of Friends, and tying it to a tree in a forest. Can Natsume help locate the torn page? What was Reiko's intention of tying it to a tree? 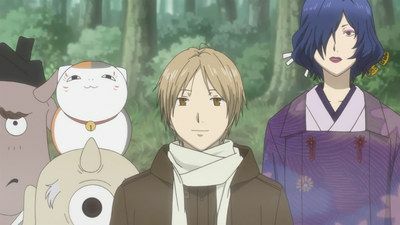 Touko and Shigeru are the kind elderly couple who took in Natsume when no one else would. But what were they like before they let Natsume move in? 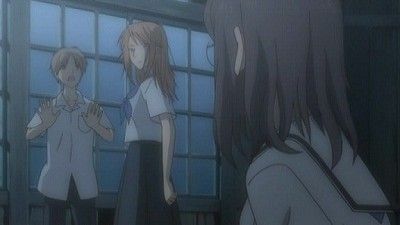 Natsume meets a spirit who used to be friends with a man who could also see spirits, but one day lost this ability. Natsume arrives at the exorcist meeting to help smoke out the youkai that Matoba wants to find. But he quickly discovers that the situation is more complicated than it first seemed. 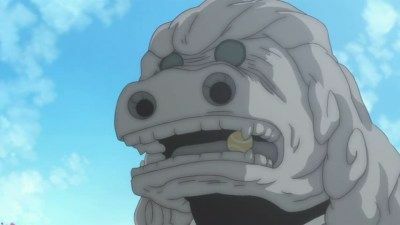 The youkai is capable of replicating itself to possess targets, and no one but Natsume is able to see who is possessed. Natsume and Nyanko-sensei search the halls, still unsure if they even want to be there. 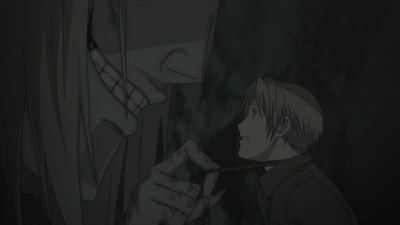 Natsume is dragged off into the cave of the evil spirit that is after Taki. He temporarily loses the ability to see youkai after being poisoned by the spirit. Will he be able to stop the youkai from eating Taki without his sight? In the town Natsume used to live in, a girl recalls Natsume. She remembers his strange actions and wanted to understand him. Meanwhile, Natsume encounters a small Youkai which reminds him of the same girl and town. 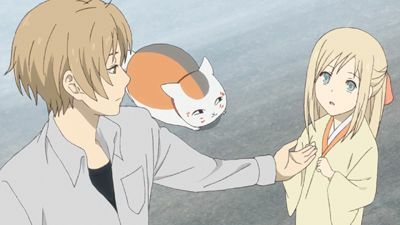 On a rainy day, Natsume meets a young girl youkai. Her name isn't in the book of friends, but she wants his help anyway: she wants him to find a man she met once. The man couldn't see Youkai normally, but a mischievous trick of the weather let him see her for just one day. For the next fifty years she visited him, hoping he'd see her one more time, but he never did. Now he's vanished. 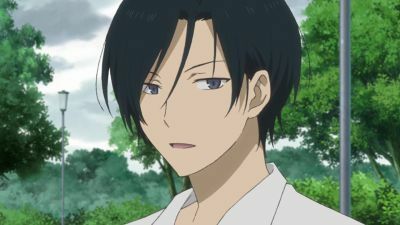 Can Natsume find him for her? Natsume takes care of an abandoned egg from a nest, not considering it could be a Youkai. After it hatches, it turns out it is a rare baby spirit called Tatsumi, who thinks that Natsume is its parent. 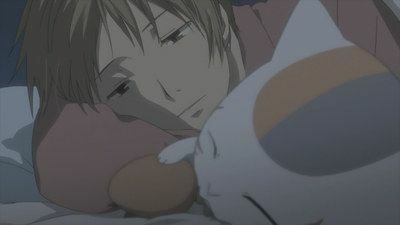 Natsume can't help but get attached to the little spirit even as Tatsumi grows tired and sick. But as Natsume takes care of Tatsumi, a mysterious spirit comes and wants to take away Tatsumi for his master... who wants to eat him! 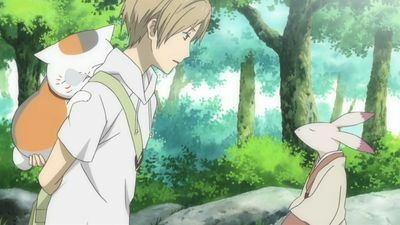 Natori tells Natsume of a well near the mansion that holds a group of Oni. They are calling out to any Youkai. He also learns that Kai came down from the mountains to free the Oni. While looking for Kai, Natsume sets off one of Natori's traps in the mansion. 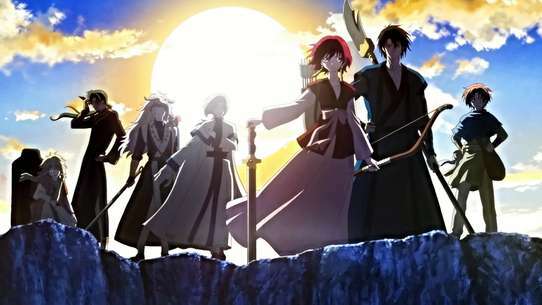 Kai saves Natsume and heads off to kill Natori.Natsume follows him,to save Natori from getting killed. 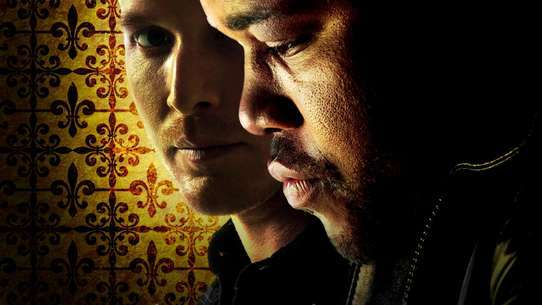 After he encounters him, he is forced to make an important decision. Which ones are more important to him? Humans or Youkai?